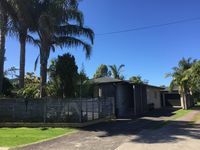 Properties in Whitianga average 4.6 out of 5 stars. Property 2: Great place to stay for a special holiday. So close to down town easy access. 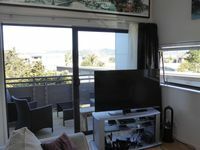 Property 13: Beautiful, private apartment just a stroll across the reserve to the beach. Property 22: Rat Race Be Gone! Basic or Decadent - Your call! Rear Apartment at Aqua Soleil with Ocean View. Property 47: Rear Apartment at Aqua Soleil with Ocean View. Villa 34 upstairs one bedroom apartment over looking the pool. Property 49: Villa 34 upstairs one bedroom apartment over looking the pool.